Another exciting product share for you! Inspired by my "I need to have it all" syndrome! 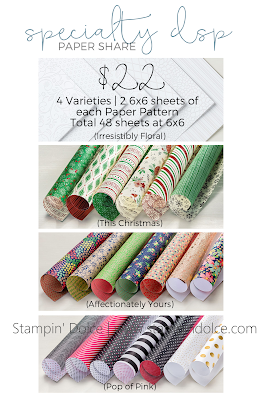 Choose a Designer Series Paper share (or two or three shares) and get a taste of all of the delishous paper that Stampin' Up!© has to offer! Here are the details for the three paper shares that are available. You will receive 72 sheets of paper cut to 6x6. All paper will be elegantly packaged for you. You can sign up for your favorite shares ... pick one, pick two or pick them all! For each four registered participants I will process a share. Prices above do not include shipping. 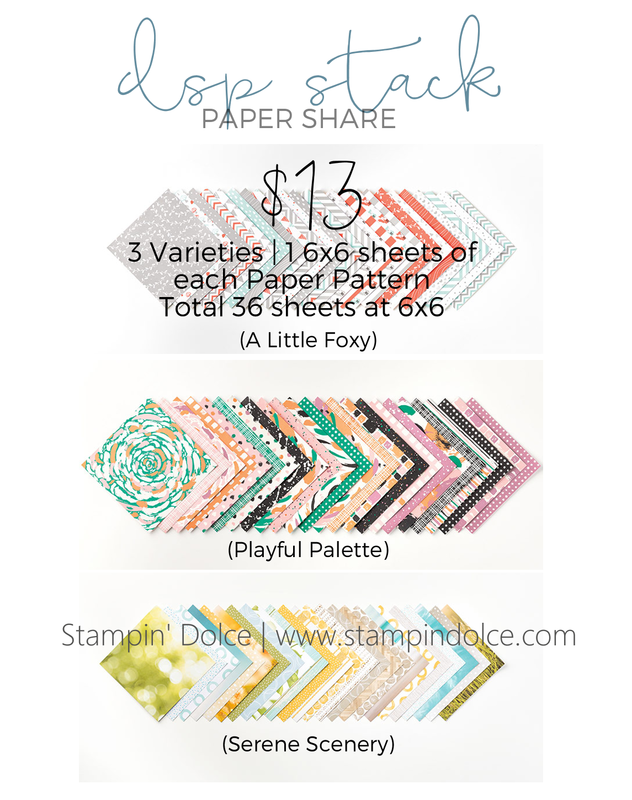 If you live in the Edmonton area, shares are available for pick up at Stampin' Dolce. If you would like the share shipped, an additional cost of $4.00 per share is required. Shares are open to Canadian residents only. 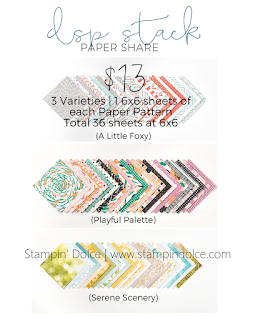 If you would like more than one Share shipped, please choose one share with the shipping cost and additional shares with out the shipping cost. I will ship all the shares in one package. If you have any questions at all please let me know! I am happy to help!